Santa Rosa Electrical Contractors | Golden State Electric, Inc. Installing Electrical Power Systems for the new Geospatial Center at Piner High School in Santa Rosa. Welcome to Golden State Electric, Inc.
Commercial Electrical Contractors in Santa Rosa, CA. 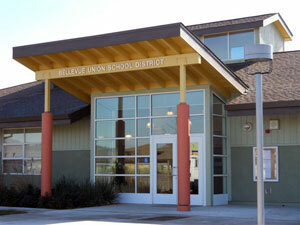 Providing complete and professional electrical contracting services throughout the greater Sonoma County area. At Golden State Electric we believe in old-fashioned values such as honesty and a hard day's work! We continually strive to provide our customers with professional quality results each and every time based upon those values - it just makes sense. We live in a dynamic world where technology is constantly evolving. At Golden State Electric, we ensure our team is armed with the most current information and performs work in the field utilizing the latest tools, technology & equipment. You will find the pricing of our commercial electrical services to be very competitive within the industry. Same goes for our residential electrical services as well. Our low overhead and efficiency allows us to keep our prices competitive. When you choose Golden State Electric, you will have the peace of mind in knowing you have chosen an electrical contractor who stands behind its work. All of our electrical contracting work is backed by a 100% satisfaction guarantee! Why Choose Golden State Electric? Santa Rosa electrical contractor, Golden State Electric, was proud to have been selected to provide our electrical contracting services to the cutting-edge Geo Spatial Center at Piner High School! Golden State Electric works closely with the wine industry in Sonoma & Napa Counties. We provide electrical services for winery cellars, crush pads and tasting rooms -whether new construction or renovation projects - we have got you covered!